Here we will know in depth about depletion mode MOSFET. We also know its definition, p channel depletion mode MOSFET & its structure, symbol, operation, N channel depletion mode MOSFET & its structure, symbol & operation. We will also see depletion mode MOSFET applications. before knowing depletion mode MOSFET we see some basics of mosfet and after that, we will continue to that type of MOSFET. 1 What is depletion mode MOSFET? MOSFET stands for Metal oxide semiconductor field effect transistor. MOSFET is one type of special device which is used for some special applications. MOSFET is generally used for high switching speed operation. MOSFET is a solid state device and it has comparatively high efficiency than a bipolar transistor. It can be classified into two parts as per their working operation. MOSFET can be classified as depletion mode MOSFET and enhancement mode MOSFET. We can also classified this two mode into another two type also. Here first we know the construction of depletion mode MOSFET and then we will also see the construction of P channel and N channel depletion MOSFET. 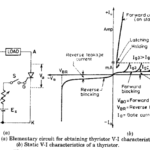 Here now we see definition of depletion mode MOSFET transistor. 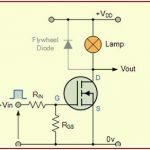 What is depletion mode MOSFET? This is not exactly the definition of this type of MOSFET. But we can say, In Depletion-mode MOSFET channel is pre-built in MOSFET. In this type of MOSFET, we applies a gate-source voltage ( Vgs ) to turn OFF the MOSFET. The depletion mode MOSFET is nearly equal to “normally closed” switch. This MOSFET is always in ON condition when we applies voltages difference between drain and source current will start flowing through the MOSFET. Depletion mode p channel MOSFET is shown in the figure. 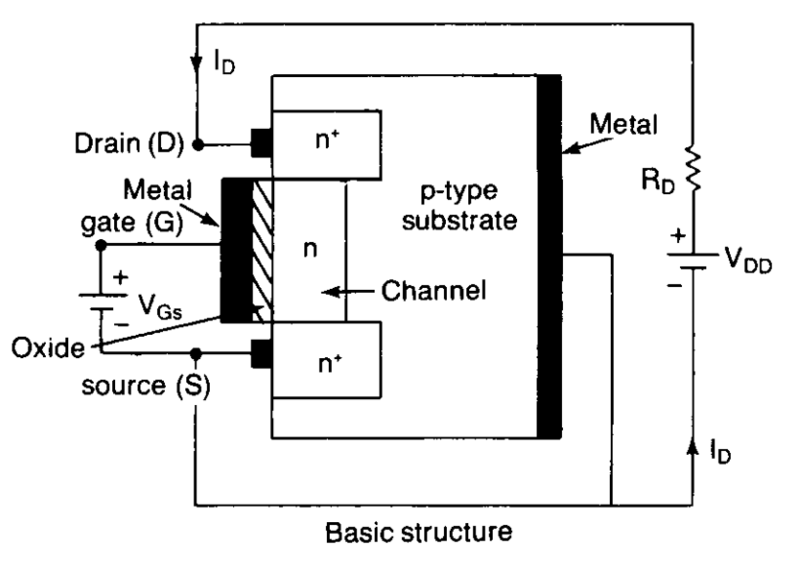 As per figure you can see that the channel is created by p-type of drain and source semiconductor device. Channel is created between drain and source terminal of MOSFET. Here substrate(body) is n-type material used. In any depletion type MOSFET, whether it is n channel or p channel, the channel is already pre-built. Depletion mode MOSFET is always in ON condition without applications of gate voltage. After applying the voltage difference between the source and drain current start flowing through MOSFET. 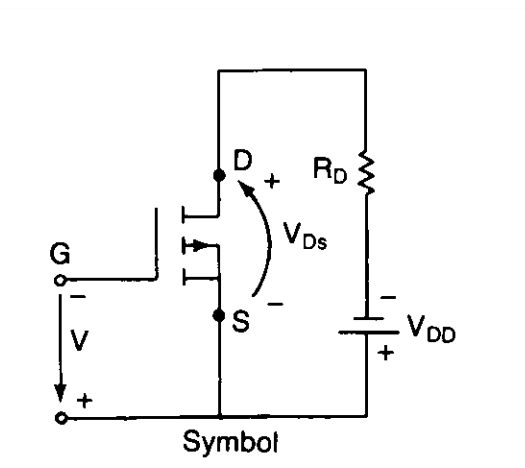 Depletion mode MOSFET symbol is shown in the figure. For p channel MOSFET, a negative gate voltage is applied to the gate terminal as you can see. In p channel depletion MOSFET channel is already created between drain and source. As we know for MOSFET gate terminal has a thin metal oxide layer. Generally, Sio2 used as this metal oxide layer. Now we apply the negative voltage at the gate terminal. Due to the capacitive effects electrons are repealed each other and shifted to the p channel. In this way here depletion occurs so it named depletion MOSFET. As per figure you can see we applied negative gate voltage and positive drain voltage. These is the basic working of p channel depletion MOSFET. In this type of MOSFET, all the construction of MOSFET is almost the same as p channel type MOSFET. But here channel created between drain and source is an n-type channel. Here drain and source are as n-type semiconductors and body (substrate ) is p type semiconductor. 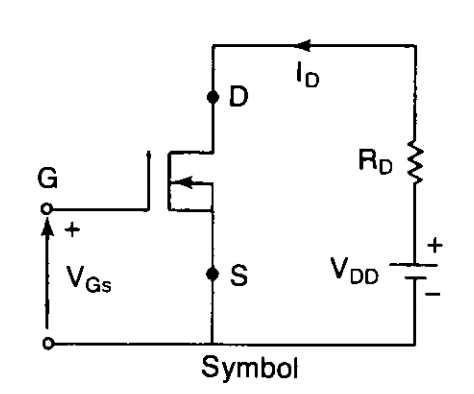 In this type depletion MOSFET, a positive voltage is applied to the gate terminal of MOSFET. Here also depletion channel is already pre-builted in MOSFET. SO let also see this type of MOSFET symbol and operation of that. N channel depletion mode mosfet symbol you can see in the figure. You can see that here we apply positive gate voltages and applied a voltage difference between the gate and drain terminal of MOSFET. In N channel depletion mode MOSFET here we applied positive voltage to the gate voltage. As we know, depletion mode type MOSFET is in ON condition without applying gate voltages. So when we apply the potential difference between drain and source current start flowing through MOSFET. After applying the voltage to the gate there will be depletion occur in n channel. You can refer to a figure for operation. Positive voltage is applied to the gate and voltage Vds is applied between drain and source. Here source is commonly grounded terminal. This type of mosfet is always in ON condition. Without applying gate voltage if we apply drain-source voltage Vds then also current start flowing through the MOSFET channel. 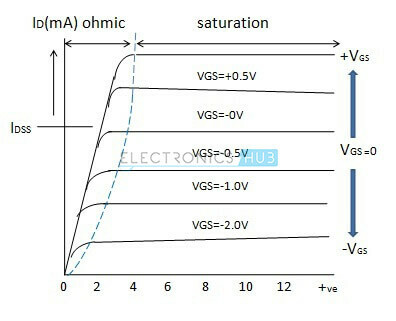 You can see the characteristics of this type of mosfet in the figure below. If we applies positive voltages to the mosfet then channel width is increased more current passing through the MOSFET. If we applies negative voltages to the gate then channel width decreases and we get less current. When current passing through mosfet is low then it goes into the cut-off region and when drain current is maximum then it called saturation region of MOSFET. For depletion mode MOSFET, MOSFET is always in ON condition. Without appling gate voltages when we applies drain-source voltage Vds we can able to gate drain current. To turn off the mosfet we have to apply positive or negative gate voltage. In this type of MOSFET, depletion occurs at n or p channel. This type of MOSFET has p-type or n type pre build channel. 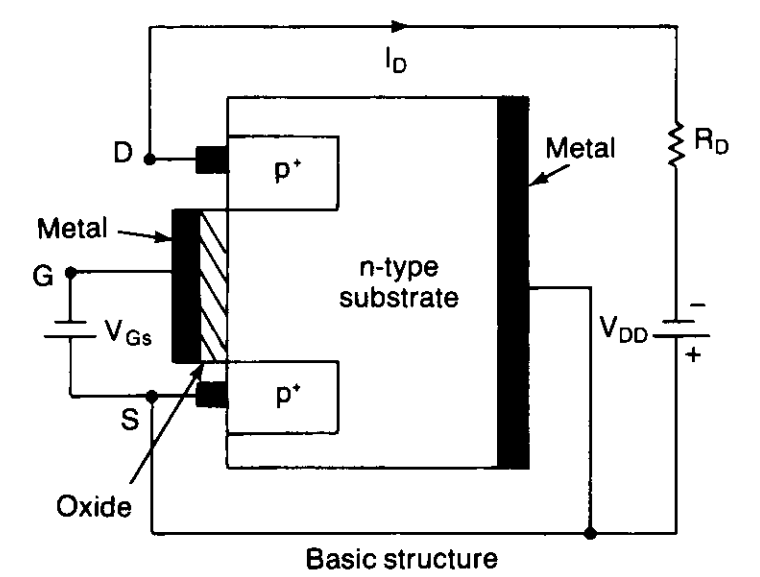 For p type depletion MOSFET substarct(body ) is n type semiconductor and for n type substract is a p-type semiconductor. By the characteristics of it, we saw when we applied positive gate signal then channel width increases and drain current also increases. When we applies negative gate voltages channel width is decreases and drain current is also decrease. At the maximum drain current, mosfet goes into saturation region and at a minimum drain current mosfet goes into the cut-off region. hope you understand all about this MOSFET. if you want any other answer related to this topic comment below we will add your answer in this article soon. Hope you enjoyed !! please what is the reason why we apply deplettion mode mosfet?